Most audio products are produced in mainland China nowadays – so locally-made gear always gets our attention. Well, Tisbury Audio isn’t exactly local to us, being that they’re in London (UK). But they are one of a handful of companies (like Lounge, or Schiit) who eschew production outsourcing, make everything obsessively by hand, and also set very competitive market pricing. We reviewed Tisbury’s ‘Mini II’ passive attenuator a couple years ago (I loved it), and clearly, their new Domino phono stage, the subject of this review, retains the same look and footprint. It looks handsome, has just enough real estate to do the job, so why not use the same casings and keep costs low? 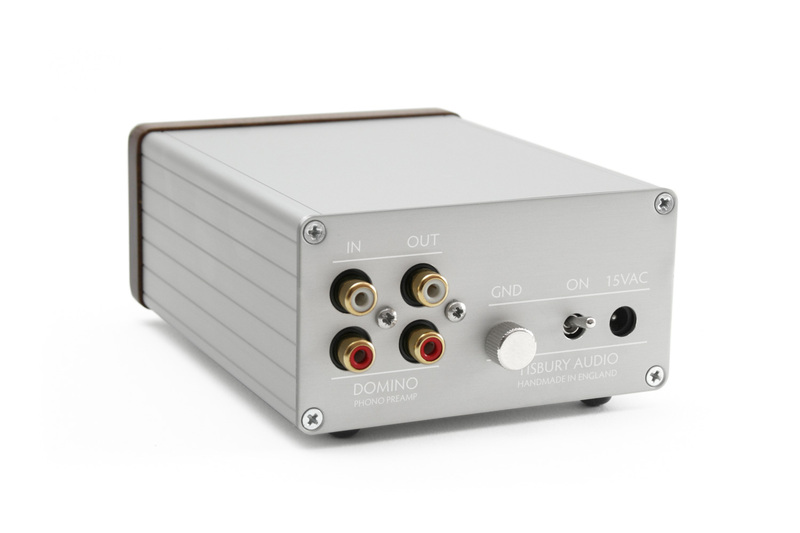 The Domino is an adjustable, full-function, solid-state RIAA phono preamp with multiple gain settings. It’s very nicely-made, boasts an RIAA accuracy of 0.2dB, and it retails for a paltry £139. To keep costs so low, Tisbury sells them direct to the public. The Domino uses a linear power supply powered by a 15-volt AC wall-wart transformer. The transformer is of good quality, and I experienced no unwanted artifacts (noise) from it whatsoever. In fact, the noise floor of the Domino was super low. The Domino can be left on all the time, but it does have a rear-mounted power switch, a nice touch for when you’re going to be away for a couple of days. I used the Domino mainly with my Pro-ject RPM3 Carbon / Hana EH combo, meaning I used its’ low gain (‘MM’), 47K settings. This phono can accomodate a very broad range of cartridges; there’s no traditional “MM/MC” switch – the load resistance and gain-level settings are done via dip switches easily accessible on the bottom plate. I’ll say more about this, but yes – they’re offering a lot here for the asking price. I found the Domino needed a good 15-20 hours before it started to sound ‘open’. Give it some time to unwind and relax before judging its sonic presentation. I have to say, the Domino exceeded my expectations, and then some. Sure, at £139 I’m not claiming that it’s the “last word” in any one particular area, but it is a quiet, balanced and superbly competent performer – and just downright enjoyable to use. For the price, it’s an amazing accomplishment, and an easy Gold Star recommendation. The only other phono I know of that can even compete with the Domino would be Cambridge Audio’s CP-2 (formerly known as the 651P). They are priced about the same. Well, I actually had a CP-2 as a backup, that got pressed into service for close to a year, so I know that unit well. I would say the Domino and CP-2 are very close sonically. The CP-2 might extract a tiny bit more detail, while the Domino is perhaps a touch smoother sounding. However, while the Cambridge is mass-produced in Asia, the little Domino is hand-made by UK enthusiasts! Again, they are priced about the same, but consider this: if the Domino were sold through distributors and dealers, its price would likely be doubled. See footnote at bottom re: MC loading value. Suffice to say that the three different cartridges I tested with, were all clearly distinguished and easy to differentiate with this phono preamp. With the Hana, my favourite recordings, like Ellington’s Masterpieces and Springsteen’s The Ghost Of Tom Joad, were rendered with plenty of verve and splendour, and very good dynamics. The Domino rarely missed a beat. With the RP3/Elys II (a combination I think might be fairly typical for a Domino owner), I did some head to head comparisons with my Pro-ject Tube Box II. The results were interesting! The TB2 retails for about twice the Domino’s price, and has a pair of 12AX7 tubes in one of its gain stages. It’s a detailed and musical piece of gear. 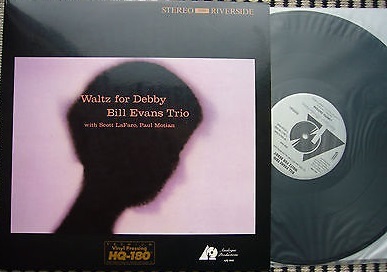 On the famous Riverside recording Waltz for Debby by the Bill Evans Trio (Analogue Productions reissue), both phonos sounded composed and refined portraying Evans’ piano. I felt the TB2 was a touch more convincing with Scott LaFaro’s upright bass; it was just a little juicier, the Domino a bit drier, but both were excellent and neither unit sounded ‘bumped up’ or exaggerated. When it came to Paul Motian’s drums, and especially the cymbals – the Domino sounded fantastic. The sparkle and sheen of stick on metal was far more immediate and enjoyable through the Domino! If your cartridge has an extended (or accentuated) top end, like say an Audio-Technica 440MLa, you will enjoy what the Domino can do with it. Very smooth. 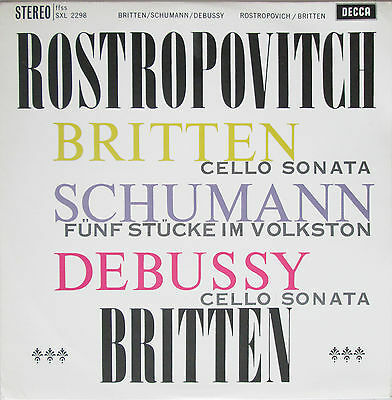 Listening to Side 2 of the Britten/Rostropovich sonatas (Decca SXL2298, Speakers Corner reissue), there was not a lot to tell them apart. Both phonos handled the piano and cello tone well, both were quiet and had reasonably good dynamics. I could tell them apart, yes, but only in the most nit picking sense. 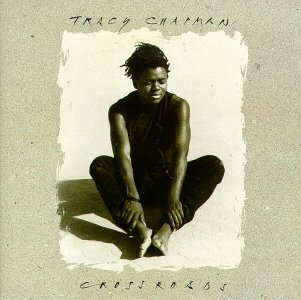 For a folk-pop selection, I spun Tracy Chapman’s Crossroads. This is a typical early 90’s production, some great music and so-so sonics. Here I clearly preferred the Pro-ject, which is a little rolled off and has a sweet midrange. Both units did well in terms of stereo imaging and soundstage. I thought about these listening notes: knowing well how all these LP’s sound with various gear I’ve used over the years, including the Hana/Domino combo, I think a caveat is in order. With these music test observations, they are to some extent reflecting the way the Elys II sounds – and in my view, it’s a bit of a black and white, rock and roll kind of cartridge. Lots of emphasis on bass and treble, not a whole lot of midrange depth. In that sense (for me), the Elys is outclassed by many budget competitors, e.g. Nagaoka’s MP150, Denon’s DL-110, and several others (especially considering price). It’s not a terrible cartridge, by any means, but for someone more into jazz, folk and classical music, let’s say natural acoustics, the Elys wouldn’t be my first choice. I think this is why the Tracy Chapman disc fared a little better with the Tube Box – it’s just a tad warmer sounding than the Domino. Not a huge difference, but nonetheless different. 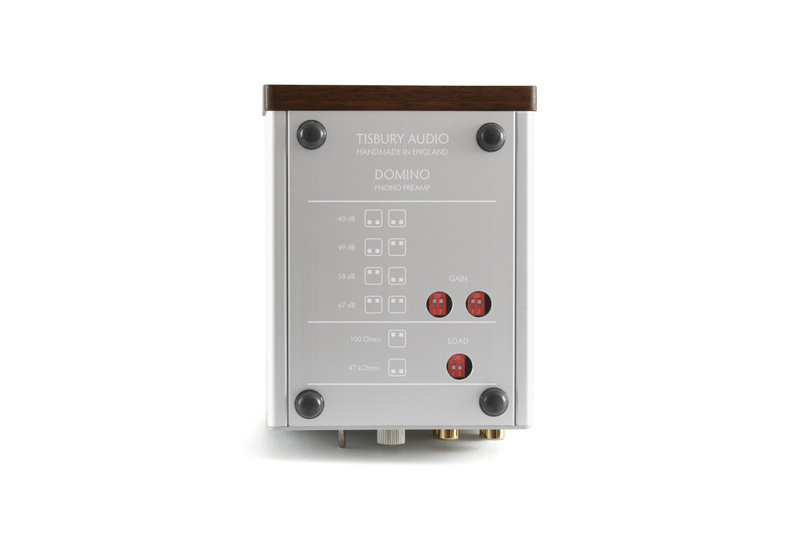 So who should consider buying the Tisbury Domino? 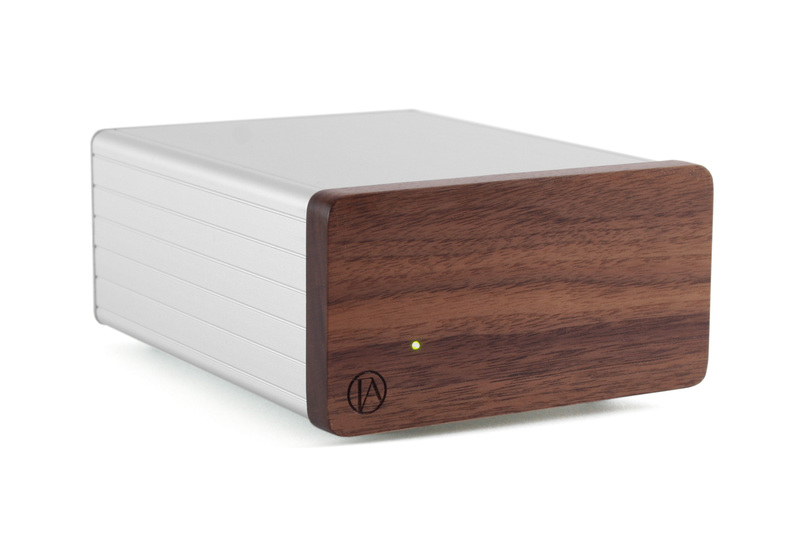 I think anyone looking for an excellent budget phono stage ought to give this one a look. It’s going to be a great upgrade over the phono section in your typical receiver, and it competes extremely well with all the full-featured phonos that I’m familiar with in the $200-400 price range. On top of that, it’s dead quiet, compact, nice to look at, and handmade by UK audio folks. And it’s most definitely priced to sell. Highly recommended, and a Wall of Sound Gold Star winner. With thanks to Wes Young at Tisbury Audio for the review loaner. * My review unit was one of the first, from back in Sept.2017. It was made with the MC loading at 47 Ohms resistance. Wes advises they have since changed this to 100 Ohms, in response to customer feedback. Thanks to Wall of Sound for a great job of reviewing low cost phono pre’s. I would like to know how the Domino stacks up against both the RJM VSPS and the Lounge Audio. In any case it’s great that there are so many low cost, quality, options on the market. Thanks for the comment, Mark. I reviewed the Lounge and Tisbury, but a couple of years apart and my system (and house) has changed in that time. I’d still strongly recommend the Lounge for its great sonics and brilliant circuit, but it is pricier and only offers low gain, i.e. it’s made for high-output cartridges. The Domino is inexpensive and very flexible, it’s a bargain. Steve reviewed the RJM, and I have not heard that unit. My sense is that it would come out on top, thanks to its robust power supply. The flipside is that you have to roll up your sleeves and do some DIY. Thanks for responding Noam. I’m currently running an earlier version of the Cambridge which appears to have been more or less a tie with the Domino. Was considering either the Lounge or the Tube Box (always love to have tubes in a system) as possible replacements so your review hit a couple of interesting points for me. Of course introducing the Domino and RJM also muddied the water a little bit as well. Like I said, great to have so many good options at a less than $500 CDN or so.